You will be able to edit: Name/s, Age (if applicable), Date/Day, Time, Address, Rsvp and Registry only. 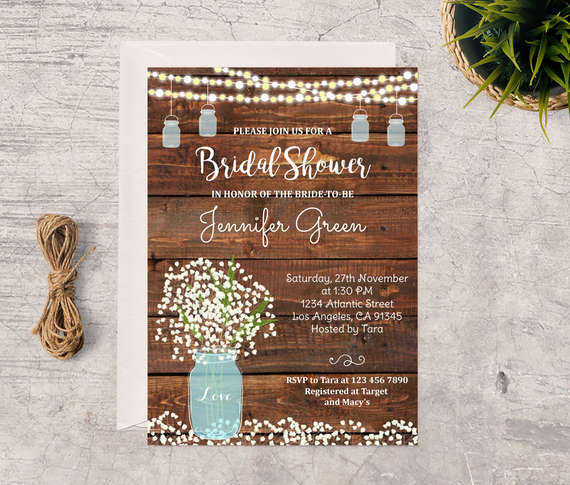 Graphics, fonts, colors and titles (like Baby Shower or Bridal Shower) are NOT editable. If you need any change, please contact me before purchasing. This item is a diagital file and instant download, no physical item will be sent. All digital files are in high resolution 300dpi. 1. If you are planning to print at a print shop or to send it to a whatsapp/email address you'll need a jpg file, in that case you can contact me. 2. Any problem with the editable pdf file (it changes the fonts, it doesn't save, etc), please let me know and I'll prepare the file for you. 3. You CANNOT edit on a tablet or smartphone. You must edit on a desktop or laptop ONLY. 4. MAC USERS- the editable pdfs ONLY work in Adobe Reader. Mac computers open downloads in a program called “Preview”. Make sure you open the file directly from Adobe Reader and NOT Preview. 5. Colors look different on different monitors/screens and print differently depending on the printer, quality of paper and printer settings used. Copyright 2017 La Paperie Invitations - All rights reserved. All designs are for personal use only, and cannot be resold or redistributed.